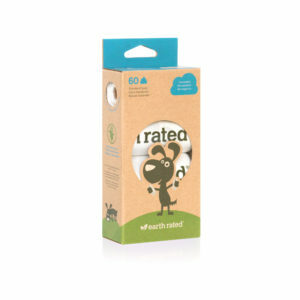 Miscellaneous useful and complimentary items for your pets including waste bags, tags and pet bling! 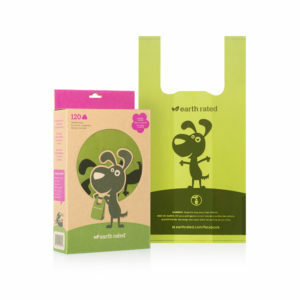 The Earth Rated® lavender-scented handle bags are packaged in a box made from recycled materials that dispenses one bag at a time. Convenient handles mean quick tying and disposal. 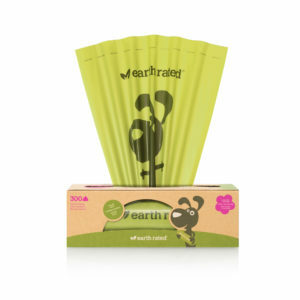 These 300 Earth Rated® value-pack lavender-scented bags are conveniently packaged on a single roll in a box made of recycled content that dispenses one bag at a time. Earth Rated® vegetable-based bags meet the ASTM D6400 guidelines and are an excellent alternative to the green-colored bags. These white-colored, unscented bags could be disposed of in a municipal compost environment, where pet waste is accepted.